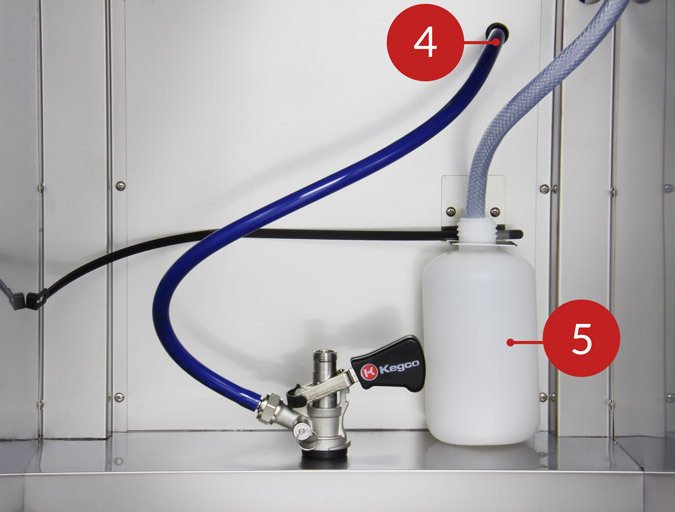 COMMERCIAL GRADE: This NSF compliant and ETL sanitation listed triple faucet kombucharator comes with a complete direct draw kit and everything you need to tap three ball lock home brew Cornelius kegs. DURABLY BUILT: This kombucha dispenser features steel construction with a brushed stainless steel top and a durable diamond plate floor that can withstand frequent keg changes. A guard rail prevents mugs and glasses from sliding off. LARGE INTERIOR: This kombucha keg cooler easily holds one full size keg, two quarter slim kegs, or four 5 gallon kegs with an external nitrogen tank mount. A knockout gives you the option to use a larger tank or mount it outside the cooler. Kegco's KOMC1S-3 Three Faucet Commercial Kombucha Keg Dispenser comes complete with a triple tap direct draw kit and everything you need to simultaneously dispense three kegs of delicious kombucha, the nutritional probiotic tea packed with compounds that support your digestive and immune systems, detoxify, energize, clarify your skin, prevent disease, and elevate your mood. 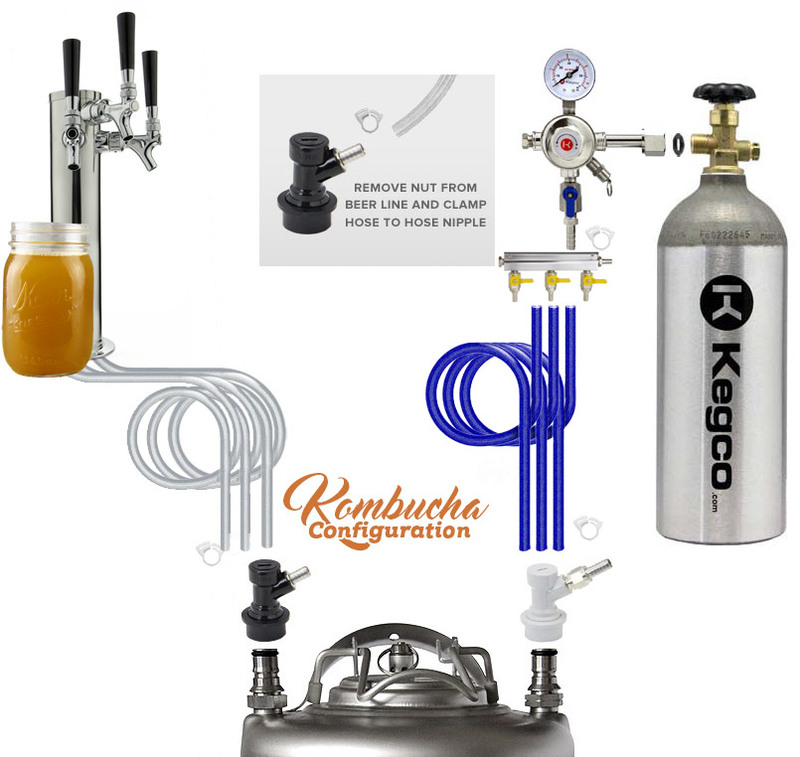 Perfect for small restaurants and coffee shops that want to start dispensing kombucha on tap, it boasts a spacious interior that can accommodate up to four 5 gallon kegs with an external CO2 mount, allowing you to dispense three kegs while keeping a fourth frosty cold and ready to tap. 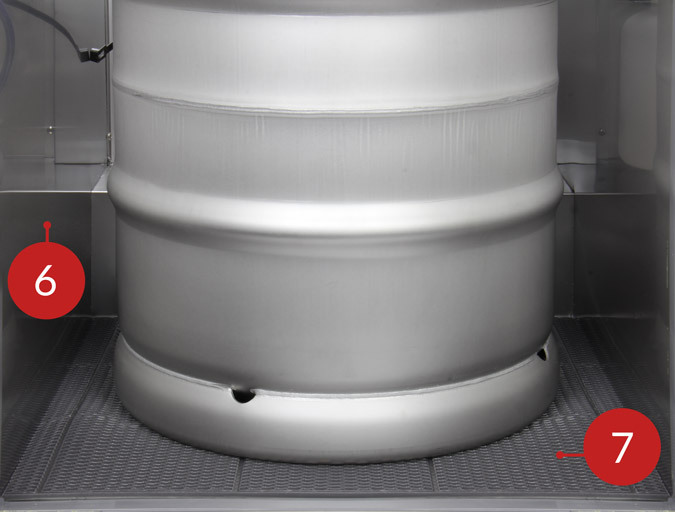 For added convenience, 4" locking casters make this kombucha keg cooler easy to move, and the built-in drip tray and steel interior make clean-up fast and simple. 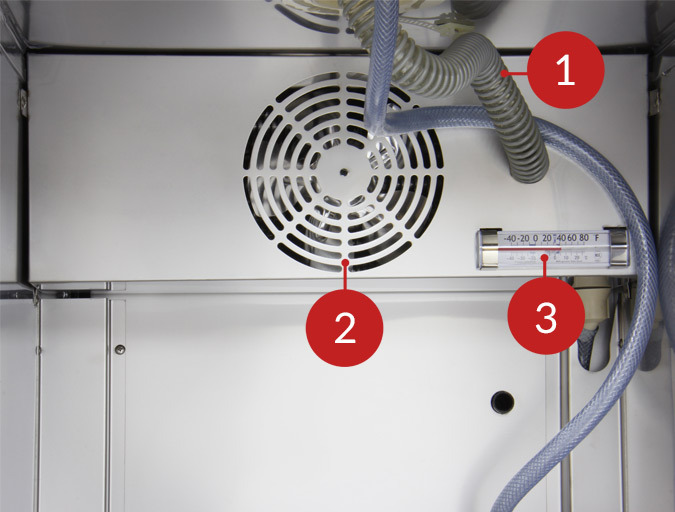 A 1/7 hp compressor delivers powerful cooling while cool air is fan-forced into the tower to keep your kombucha ice cold all the way up to the faucets. The kombucha dispenser comes with everything you need to tap three ball lock Cornelius kegs, including a three faucet tower with stainless steel faucets and fittings, three sets of ball lock keg couplers for use with Cornelius home brew kegs, a single gauge CO2 regulator with an air distributor, and an aluminum CO2 tank. One 5 lb. tank can pressurize up to fourteen 5 gallon kegs before needing to be refilled. The faucets are construction of durable and sanitary stainless steel, and the ball lock keg couplers are made of food grade plastic and have been designed to resist corrosion.